Do you have words that you think are fun to say? I do. Bumblebee, Purple, Piccadilly, Hippopotamus, Kumquat and Arugula-just to name a few. 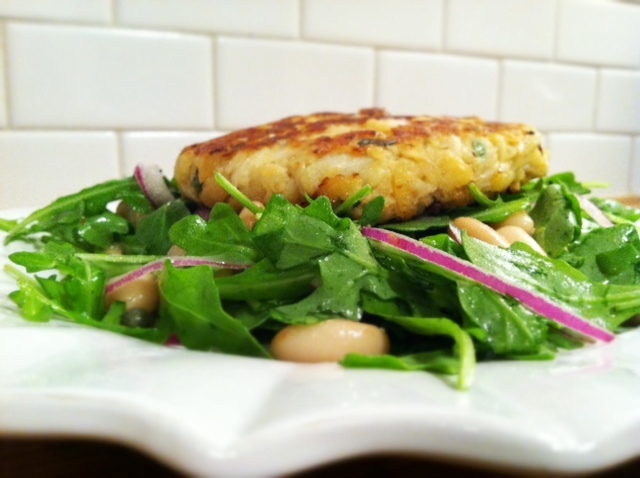 This arugula salad couldn’t be easier or tastier and now it is fun to say too. If it were any more fun to say, it would be a Purple Arugula Salad with Kumquat Piccadilly Vinaigrette. 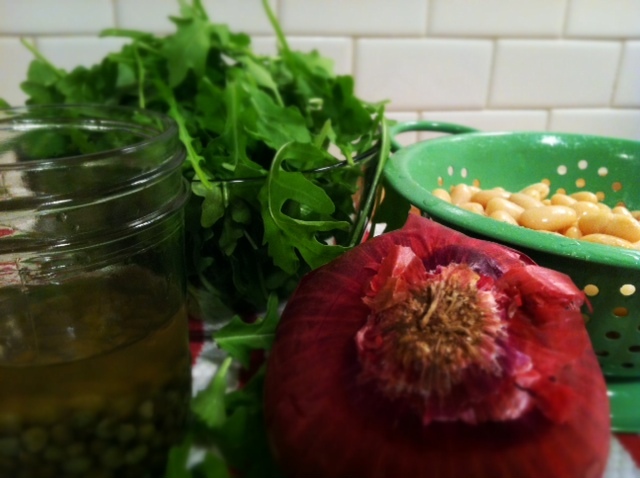 Instead it’s a White Bean and Arugula Salad with a Maple Lemon Vinaigrette. But it’s still easy. With only 10 ingredients and nothing to cook, you’re ready in a snap. Arugula is such a nice lettuce for salad and has a slightly peppery taste. Throw all the salad components into a bowl. 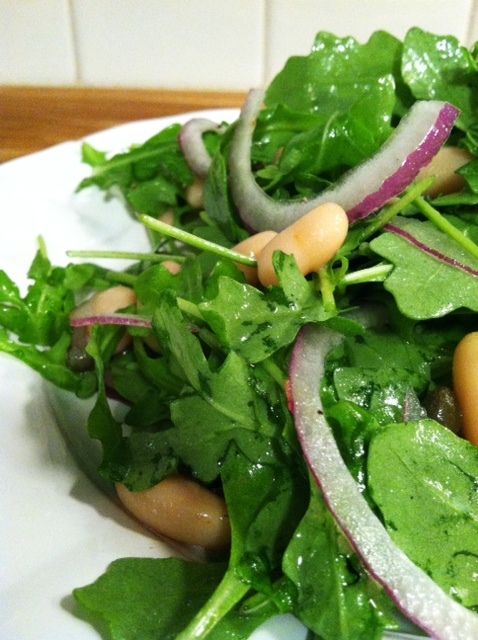 The white beans give the salad a creaminess. 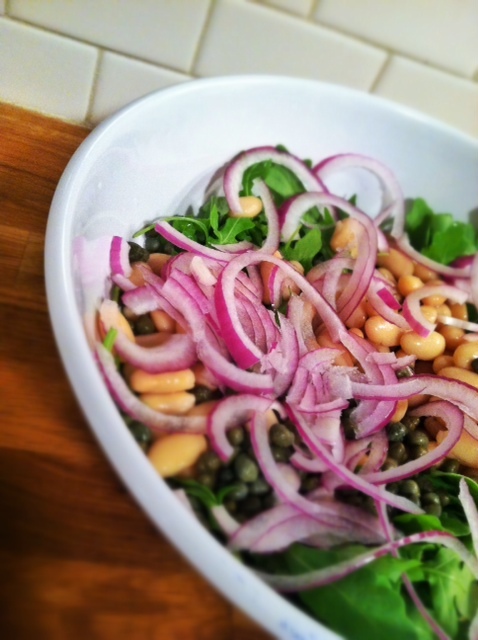 The red onion adds a crunch and the capers give a zing of saltiness. The vinaigrette is simple but has a brightness from the lemon and some sugar from the syrup. You could top this salad with lots of different proteins. I picked a crab cake (the Harris Teeter seafood department makes great ones) this night, but I have eaten it with a steak, chicken and pork tenderloin before. You could serve it alone or as a side too. It is a very versatile concoction. 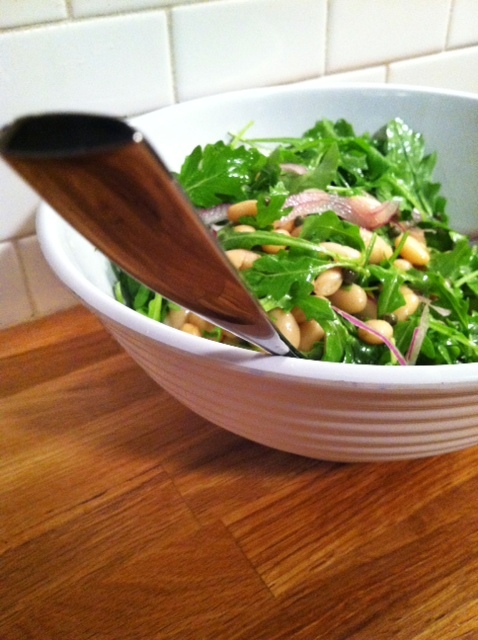 in a large bowl, toss together: arugula, onion, beans and capers. 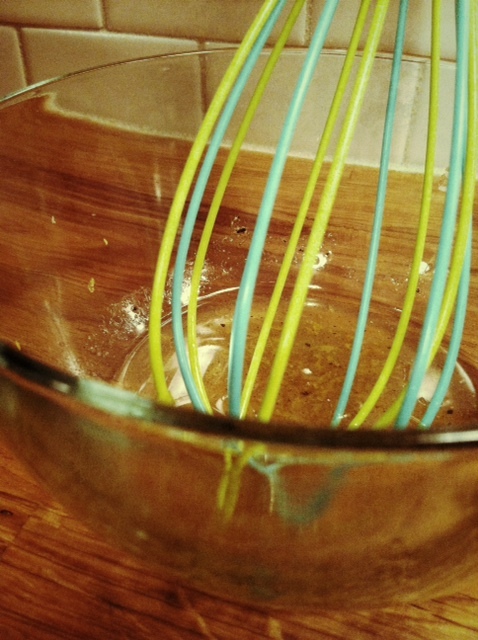 in a small bowl, whisk together: lemon juice, zest, syrup and oil. season with salt and pepper. drizzle over salad and toss to combine. serve chilled.